Shadwell Turf Mile 2014 Picks, Odds, Plays: This weekend we have the opening of Keeneland, near Lexington, Kentucky, with its new dirt surface and plenty of fantastic horses running. 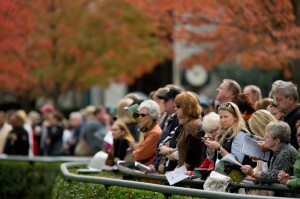 Seven of nine stakes races this weekend are Breeders’ Cup “Win and You’re In” races. On Saturday, October 4th, we have the GI Shadwell Turf Mile which is a Breeders’ Cup “Win and You’re In” Challenge race for the Breeders’ Cup Mile on Saturday, November 1st at Santa Anita Racecourse. The Shadwell Turf Mile is for 3 year-olds and up going a mile on the grass for a purse of $1,000,000 and a paid spot in the gate at “The Great Race Place”, aka Santa Anita. Wise Dan and Seek Again are Kari’s picks for the Shadwell Stakes on Saturday, October 4, 2014 at Keeneland. 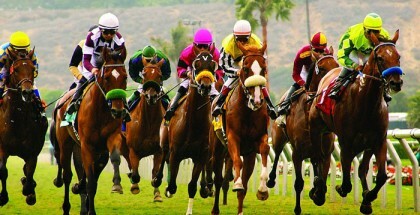 The Shadwell Turf Mile is held annually in early October and has been a (GI) race since 2002. Prior, it was a Listed race in 1986 and 1987, a (GIII) from 1988 through 1997 and a Grade II from 1998 through 2001. Sponsored by Shadwell Farm’s Kentucky division, the race is one of the final major prep races for the Breeders’ Cup Mile. The race was run at 1 1/8 miles from 1986 to 1993 to be modified to the present one mile in 1994. The record time for the race at the current distance is held by Altibr set in 2000 at 1:33.72. This grand race on the grass also has a newly added money bonus to make it the first seven-figure event in Lexington’s track history. The 2014 Shadwell Turf Mile is the 9th race of the day on a card of 10 and follows the (GI) Claiborne Breeders’ Futurity for Juveniles, also a “Win and You’re In” for the 2014 Breeders Cup Juvenile race. The post time is 5:45 pm EST. Last year this race was won by Silver Max for trainer Dale Romans and was the first time Wise Dan had been beaten in quite some time. 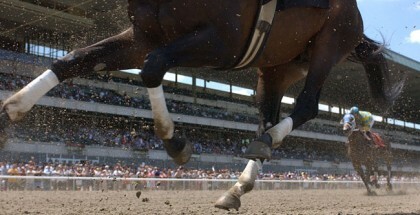 The race was taken off the turf and ran in the slop on the polytrack. Silver Max got lucky that day as he can pretty much run on anything. Wise Dan, not so lucky that day. However, he looks to be back with a vengeance so lets take a look at some of the runners I like. *Note: My fellow capper and partner in crime Sigi Mendoza is on vacation this weekend so he will not be adding his picks and plays. Bummer. Wise Dan doesn’t really need an introduction. This two-time Breeders’ Cup Mile Champion is trained by Charles LoPresti and is sitting on another huge one I feel for a free trip to this years Breeders’ Cup. The 7 year-old gelding has raced 30 times throughout his career with 21 of those times coming out a winner. He has such a huge fan following that you can bet this weekend will be chock full of “Dan Fans” and I don’t blame them one bit. Nothing seems to slow him down. After winning the (GI) Woodford Reserve Turf Classic on May 3rd, he was soon brought down with cholic and had surgery to remove a part of his intestines. Talk about a trooper. Three months later he comes back on August 31st to win the (GIII) Bernard Baruch Handicap. Interesting that in 2011 he was 4th in the Shadwell, 2012 he won it, 2013 was second and now it looks to me like we have a “Winner Winner Chicken Dinner” for the 2014 edition. If there was ever a freak of a horse, Wise Dan is the one for me. He exits post #6 with his regular rider Velazquez in the seat. Bill Mott sends in Seek Again who last out won the Fourstar Dave on August 9th so he’s coming in off a 56-day layoff. However, Mott is 19% at getting them back in the mix at 46-90 days off so he could stir the pot here. In the Turf Classic on May 3rd he was just a head behind Wise Dan in his second race stateside, first off the claim from trainer John Gosden. 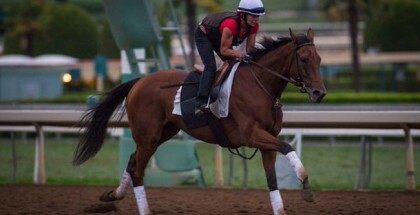 His first race in the states he won the Hollywood Derby at Hollywood Park on December 1, 2013. He hasn’t been off the board in his last 5 races and gets his regular rider Joel Rosario up from post #8. Silver Max is a sentimental favorite of mine who is a one-dimensional horse. He needs the lead or he quits. All of his wins have been in gate-to-wire fashion. Last out in the Fourstar Dave he had the lead and just quit after being passed and gave up to finish 6th in the stretch. That was a head scratcher for me that he tired like that. He never trailed in holding off Wise Dan by 1 1/4 lengths winning this race last year when the race was taken from turf to the fake stuff. He was 4th in the Breeders’ Cup Mile last year and had 8 months off before returning to win the Firecracker (GII) on June 28th. He really needs to step-it up here and I never leave the speed off an exacta or trifecta box. I wish him the best of luck from post #4 with his regular rider Robby Albarado in the irons. Wise Dan is the one to beat. My play is a $1 pick 3 starting Race #7: 1,5,8/6,10/6,8 for $12.00. Good luck to everyone and safe ride!